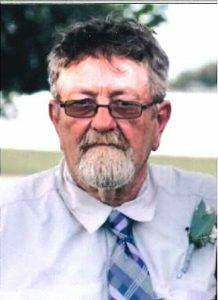 Paul Workman, 59, of Octavia, died Saturday, January 27, 2018, at the CHI Memorial Hospital in Schuyler. Visitation Thursday 4-7 P.M. and Friday 9-10:30 A.M.
Paul was born November 5, 1958, in David City to Earl and Ruth (Wall) Workman. He attended David City Schools. On January 26, 1979, he married Susan Starlin in Schuyler. They lived in Oregon, Missouri where he worked 10 years for Schuylkill Metals. In 1989 they moved to David City and eventually to Octavia. Paul has worked for Hughes Brothers in Seward since 1989. Paul loved to work on cars and ride his "Harley". He and Susan would ride for "Toys for Tots" and had the privilege of meeting Jerry Lewis. Paul loved nothing more than time spent with his grandchildren. He is survived by his wife, Susan of Octavia, two daughters; Jamie (Shawn) Gasper of St. Edward, Tonya Workman of David City, one son, Harley (Candace) Workman of Fremont, 3 brothers; Earl Workman of Iowa, Kurt (Connie) Workman of David City and Roy Workman of Omaha, two sisters; Pam Graser of O'Neil and Alice Terry of Iowa, 10 grandchildren and one great-grandchild. He was preceded in death by his parents, two sisters, one brother, father and mother-in-law Gerald and Marcella Starlin and a nephew, Jed Workman.